All CBD products contain less than .3% THC. 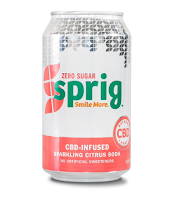 Sprig CBD Lemon Tea Zero Sugar is everyone's cup can of tea. 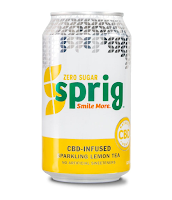 This non-caffeinated, sparkling lemon tea has the carbonated bite of a soda, but with the soothing taste of tea. Its great as an Arnold Palmer base, perfect for a sunny day by the pool. 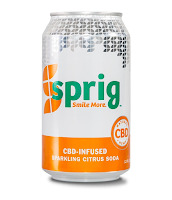 Regardless of where you enjoy it, it's sure to bring a smile to your face.